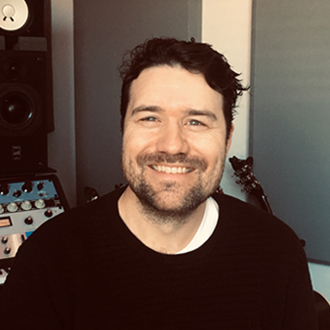 Originally from Sydney, Australia, Lindsay Rimes has become a very successful songwriter & producer since he moved to Nashville four years ago. He has co-written two big country hits: “Heaven” for Kane Brown (which also reached #15 on the Billboard Hot 100 chart), and “Hooked” for Dylan Scott. He’s also produced several hits for other artists. It’s fairly common for American songwriters to move to Nashville, but it’s rare for a musician to travel many times from Australia to Nashville to collaborate, and then decide to relocate there. That’s what Rimes has done, and he’s made a smooth transition writing & producing in Nashville, and networking with many top artists, songwriters and music execs. In addition to co-writing hits for Brown and Scott, Rimes has co-written songs that have been released by Thomas Rhett, Kelsea Ballerini, Chase Bryant, the Cadillac Three, Phillip Phillips, Canaan Smith and Drake White. Besides his work with country artists, Rimes has also collaborated with pop and rock artists. He co-wrote & produced the title cut for Australian pop star Kylie Minogue’s latest album, Golden. Rimes also co-wrote & produced a song for pop star Troye Sivan’s 2014 EP, TRXYE. And recently, he has co-written with Dan Layus, frontman for the rock band, Augustana. Rimes has signed a publishing deal with Sony/ATV Music, and he works closely with Josh Van Valkenburg (Senior Vice President of A&R). We are pleased to do this new Q&A interview with Lindsay Rimes. He tells how he made the transition from Australia to Nashville, and how he co-wrote the hits “Heaven” for Kane Brown and “Hooked” for Dylan Scott. DK: How did you get started as a musician and songwriter in Australia? Lindsay Rimes: It’s an interesting story. I played piano and started writing songs when I was a teenager, but I really loved playing rugby. I got a sports scholarship to Sydney University, and I played on the rugby team, while also studying visual arts (painting & printmaking). I wanted to be a professional rugby player, but I got injured in my early 20s, so I decided then to focus on music, and doing it professionally. I put together a little studio in my room, and I started recording local singers and bands. I learned the art of production and songwriting—I just started jumping in, getting my hands dirty, using the gear and starting to produce. Eventually, I met a manager who opened some doors for me in Australia, and I started working with some label artists. I had success there, producing some gold records in Australia and New Zealand. DK: When you were in Sydney, what genres of music did you mostly work with? Rimes: I started off mainly doing pop, and I’d worked with some rock bands. And then as I was coming to Nashville more, I realized that country music was very guitar-driven. There’s lots of guitars, and essentially, it’s music played by bands. Also, the [country music] sensibility started leaning more towards more pop and rock. So I felt that I gelled with that, and I started producing some country acts in Sydney just before I moved to Nashville. I produced a record for a band called the McClymonts—they’re an Australian female trio who are one of the biggest country acts in Australia. DK: Did you make several music trips to Nashville first, before deciding to move there? Rimes: Yes. I’d been coming to Nashville for about 10 years, going back and forth. I would come over here to write songs, and I just fell in love with the place. I realized that this is where I wanted to be, to match up with the best (songwriters, artists & musicians) in the world. Nashville started to feel like home, because I had some friends who were living and working here. Also, on one of my writing trips, I was able to write with a buddy, and we got a couple songs on Jana Kramer’s album. When I got these cuts, I thought that was cool…it gave me the confidence to think I could give it a good shot here. So finally, my wife and I decided to make the move to Nashville. DK: You mentioned that you play piano. Do you also play guitar? Rimes: Yes. My first instrument is piano, but I play guitar, bass and do programming. My laptop and my software are very important to me in my production, and now it’s a big part of the songwriting process. DK: When you’re making a new record, do you play most of the instruments on a song? Or do you bring in musicians for a session? Rimes: I will usually start the song in my little home studio, and play and program everything. Then I’ll decide whether we should go into a studio and add a band, and try to fill in more…adding more of the human element to the song. I still think that’s an important part of Nashville, having real musicians playing together, and that’s something that is hard to replicate on your own on a laptop. Not using a band is also a valid way of doing it, but I think that working with musicians is still an important way of working in Nashville. DK: In the past year, you’ve had two hits, co-writing “Heaven” for Kane Brown and “Hooked” for Dylan Scott. Which song did you write first? Rimes: “Hooked” was written first…it was a couple years ago. DK: How did you co-write “Hooked,” and how was it placed with Dylan Scott? Rimes: “Hooked” was written during a songwriting camp, which was put on by APRA (Australasian Performing Rights Association). APRA put on a songwriting retreat in Nashville, aud during that week a bunch of songwriters would get together, and each day you’re allocated someone to write with. On this particular day, I was put with Seth Ennis and Morgan Evans, who are artists & songwriters. Morgan is now married to (hit artist) Kelsea Ballerini, and they were dating at that time. It’s a funny story, because around that time Kelsea had a big hit called “Peter Pan.” So I thought, “Why don’t we write a song called ‘Hooked’? It could be the sequel to ‘Peter Pan’.” I said it as a joke and we laughed, and I think Morgan rolled his eyes, and thought it was a bit silly. But we started singing, “I’m Hooked on…” and we thought this was a great hook, so we just started jamming on the chorus, and it all came out pretty quick. We finished the song, and then I demoed it that day, and we played it for everyone there. As it turned out, it took a year before the song was cut. Seth passed the song onto Dylan Scott’s producer, and thankfully they thought it was a smash, and Dylan cut the song. Then it was another year before Dylan released it as a single, because his single “My Girl” was still moving up the charts. But it was actually great that “My Girl” became a huge hit, so it was in good stead for “Hooked” to be the next single. So thankfully, the stars kind of aligned and “Hooked” became a big hit. DK: Then you had the hit “Heaven,” for Kane Brown. How did this song come together? Rimes: I wrote “Heaven” with Matt McGinn and Shy Carter, and we wrote it at a songwriting retreat for Kane Brown, that was hosted by Sony Records. Kane wanted to write four more songs for the deluxe edition (of his debut album, Kane Brown), because the album was already a hit, with “What Ifs” racing up the chart. So I was lucky enough to be invited to this songwriting retreat…it was by the lake and it was beautiful. We would each write a couple songs a day, and things were going well. On the last day there, I was put together with Matt McGinn and Shy Carter. We sat down and started jamming on this idea, and Matt actually had the idea for the first lyric of the chorus. And really, it was simple as (the chorus lyric) “Everybody’s talking about heaven like they just can’t wait to go.” We were all excited about this idea. Matt and I were jamming on the start of the idea but once the vibe was rocking, we were all together writing the song and working on the lyrics and melody. We didn’t finish the second verse because the retreat was ending, so Matt and I got together a couple weeks later to finish the second verse. Then Matt sang the demo and we turned it in that day. As it turned out, Kane loved the song, and he sang it so great. And (hit producer) Dann Huff did an amazing job. So the stars aligned on that one as well.